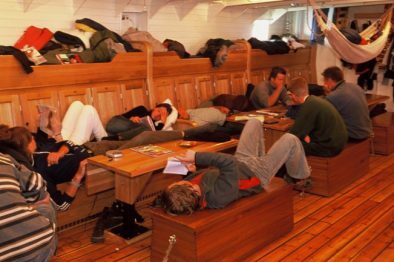 Explore the Canary Islands from a beautiful Tall Ship. Join Christian Radich on a Saturday afternoon and leave the port just two hours later. There is no time to lose as beautiful islands invite you to discover their tropical nature! You will arrive in Puerto de la Cruz, Tenerife, on Sunday evening, and have a full day on Friday to visit. The Ship will arrange for a bus to take you to the foot of the mountain Teide, and you can tke a gondola up high. If you’d like to hike all the way to the peak, you will need to apply for a permit beforehand – we will let you know how. Tuesday morning you will set course for Isla de la Palma, where you will again have the time to explore. 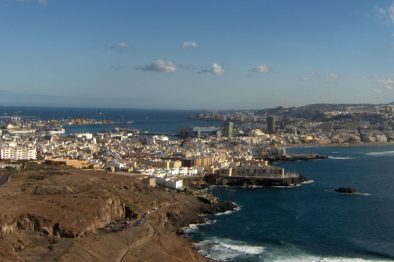 You will reach Las Palmas again on Friday afternoon and you’ll have a farewell dinner on board, before disembarking the next morning after breakfast. Open for all ages, minimum age 15 years (age 12-15 years at request and accompanied by an adult). The bus to the mountain is paid separately on board and it costs EUR 13 per person.